Très bonne plante, adorable et florifère. height 22 in. 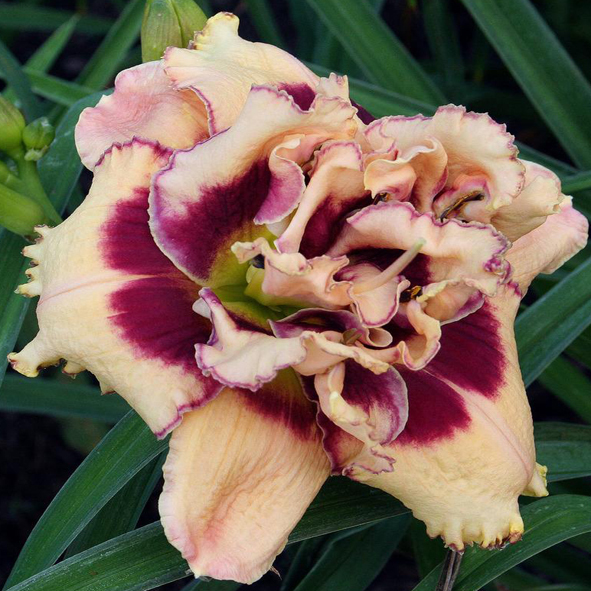 (56 cm), bloom 3.75 in. (10 cm), season M, Semi-Evergreen, Diploid, Fragrant, Double, Tan peach peony blend with lime green throat.